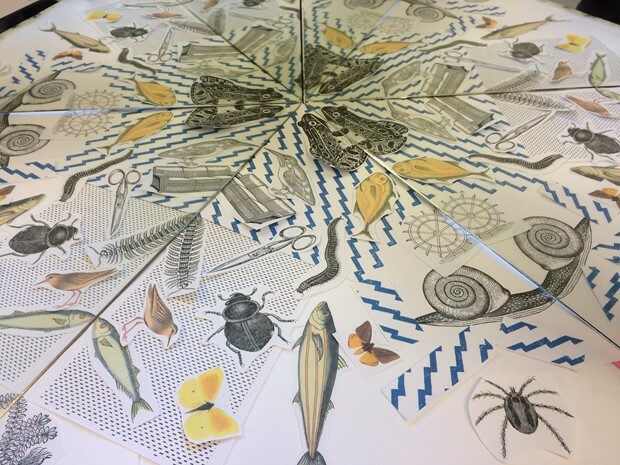 ‘Through Kaleidoscope eyes’ is a public art commission for Tideway which is constructing the immense Thames Tideway Tunnel, a major new sewer, urgently needed to help protect the tidal River Thames from increasing sewage pollution. Launch October 2018. The commission represents a body of work responding to the ecology of King Georges Park, Wandsworth, and reflects a public programme of events in November 2017. The participatory programme, managed by the artist included an opportunity for families and children attending The West Hill Childrens’ Centre to engage with a local bee keeper, The Wandle Trust, and The Garden Classroom. Local residents were invited to create their own collages, generate ideas, gather reflections and stories about King George’s Park. These are incorporated into the final artwork which will be installed in Autumn 2018 for a duration of 2 years. 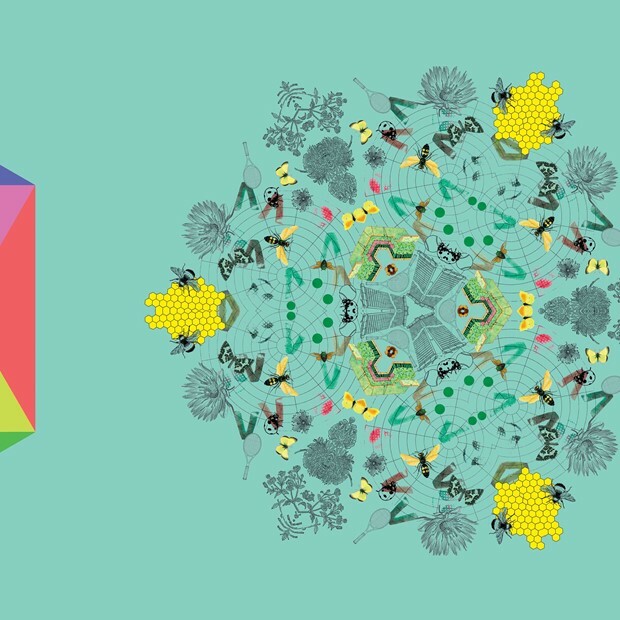 The word kaleidoscope was coined in 1817 and means to examine or observe beautiful forms. The act of looking and examining the park and its ecology will be the focus of the workshops, exploring the plants and animals, and also the human activity, past and present. 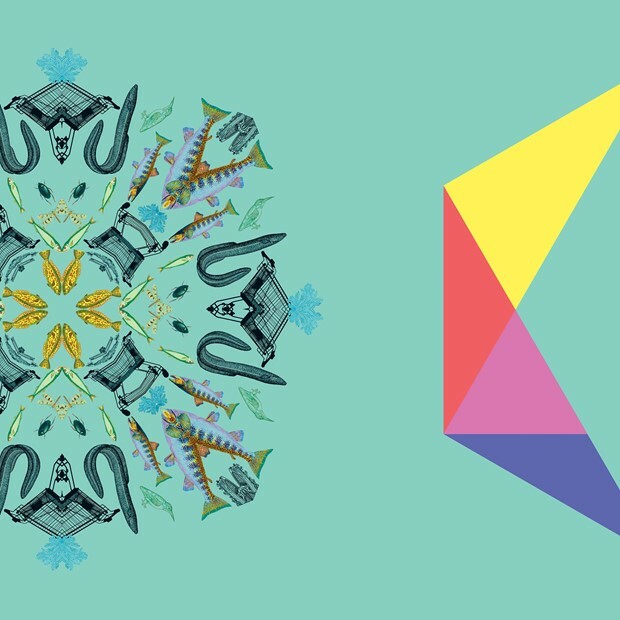 The artworks are interspersed with unfolding Kaleidoscope forms, inspired by the geometry and science of Kaleidoscopes. Look carefully, and the collages will take you on a journey from the south end of the park, meandering alongside the River Wandle, to the northern entrance, and then take one quick leap downstream to The Thames, much as the new sewer pipe will. 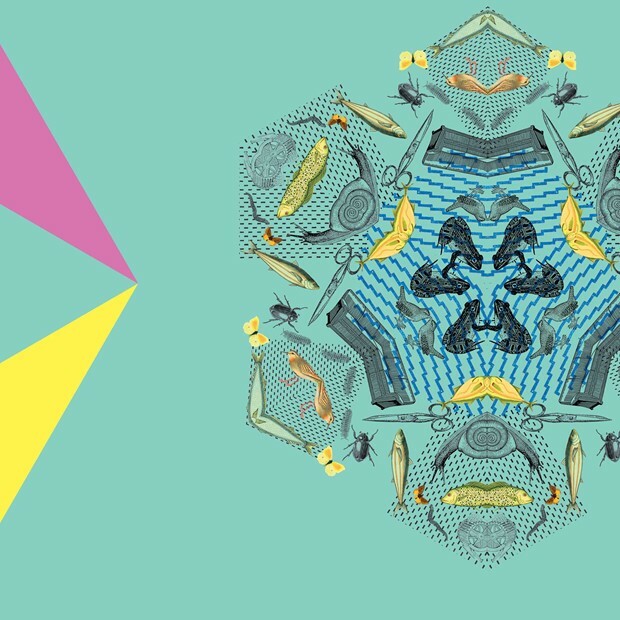 Public Artist Tom Pearman created and arranged the digital artwork and designed the geometric forms.